Forever he will be hailed as the prima donna of modern Kuchipudi and as the one dancer who immortalized the role of Satyabhama on stage. Among all the ancient Indian classical dance forms, Kuchipudi is the only one associated with the place of its origin. No other dance form takes the name of its native village with such pride like Kuchipudi does. Essentially a dance-drama format of performance, Kuchipudi began as an all-male performing art of Brahmin boys. A more confirmed history of Kuchipudi dance in its present form could be found around the 16th century. The earlier evidences of dance in the Telugu speaking regions of upper Andhra are at the 2nd century Buddhist settlements of Amaravati and Nagarjuna Konda. Near theAmaravati Stupa a whole group of dancers in ‘Pindibandha’ are carved in stone. From 11th century onwards one can find a mention of Kuchipudi in important treatises like ‘Manasollasa’ of King Someshwara, Nandi Deva’s ‘Sarasvati Hridayalankara’, Ahobala’s ‘Sangita Parijata’ and ‘Sangita Choodamani’ by Pratapa Chakravarti. In ‘Nritta Ratnavali’ written by Jaya Senapati, a commander-in-chief under the Kakatiya ruler Ganapati Deva there is a record of a ‘Brahmana Melam’ one of the traditional families of Kuchipudi dancers. More references can be found in the 1502 AD document ‘Manchupali Kaifiat’ when a group of Bhagavatulus had an audience with the Vijayanagara ruler Narasimha Nayaka, the ruler of Vijayanagra. They are said to have conveyed a message of oppression of a local chief through their dance-drama, which led to his banishment, by the king. Though the evidences seem to have vanished, the big story goes how the Golkonda Nawab Tani Shah who visited the regions of north coastal Andhra during his rule saw a performance of Kuchipudi dance. Impressed by the show, he gave away land grants to the various Brahmin families who propagated this art form. Ever since, over a dozen Brahmin families have propagated this art form. Into the late 19th and early 20th century, Kuchipudi continued to survive in little villages around Kuchipudi. Vedantam Lakshminaranaya Sastry (1886 – 1956) was the first to encourage women to perform. He taught this dance form to women from various courtesan cultures, who later came to be known as ‘Devadasis’. In addition to that, he also had Bharatanatyam performing students like the legendary Thanjavur Bala Saraswathi and Vuzhavoor Ramaiah Pillai who took training from him in Abhinayam in later years. It was into one of these traditional families that Satyanarayana Sarma was born on September 9th 1935 to Vedantam Venkataratnam and Subbamma. By that time, Kuchipudi had barely crossed the borders of Telugu speaking regions. The life story of Satyanarayana Sarma tracks the modern history of Kuchipudi. He was only a year old when his father passed away. After that he was under the care of his older brother Vedantam Prahalada Sarma who taught him dance, as per family tradition. He also took training from Vedantam Lakshminarayana Sastri and Chinta Krishnamurthy. Like all the boys of his caste in his village, little ‘Sathyam’ was trained in Sanskrit, yoga and other allied arts. The dance-drama format of Kuchipudi, also called ‘Kuchipudi Yakshagaanam’ or ‘Bhagawata Melam’ would take young boys to play the female characters in various mythological stories. However when Sathyam felt ready to debut on stage, the Melam stopped him, as he wasn’t trained in music. An actor had to sing and dance with equal proficiency. He trained in music under Gurus like Yeleswarapu Seetharamanjaneyulu in his village and later under the famous singer and violinist, Sishta Brahmaiah Sastry in Machilipatnam. It was only when he was fourteen years old that the debut show arrived at a temple festival and he stole everyone’s hearts with his performance. He played the roles of Lohitasya in ‘Harischandra’ and Lava in ‘Ramanatakam’ in Pasumarthy Kondalarayudu’s troupe where his brother played the lead female roles. In a later interview he gave, he revealed how, when he was utterly depressed as a teenager he had visions of Siddhendra Yogi, the founder of Kuchipudi dance, blessing him saying he would achieve success from his nineteenth year. When he was nineteen he got the opportunity to play the role of Parvathi in Usha Parinayam at a performance in Sapru House in Delhi. To his good fortune, a previous troupe that had performed left its set of mount Kailash on stage. This performance in 1958 became a turning point in his life. His dance won him great recognition. He continued to portray other roles in various dance-dramas. 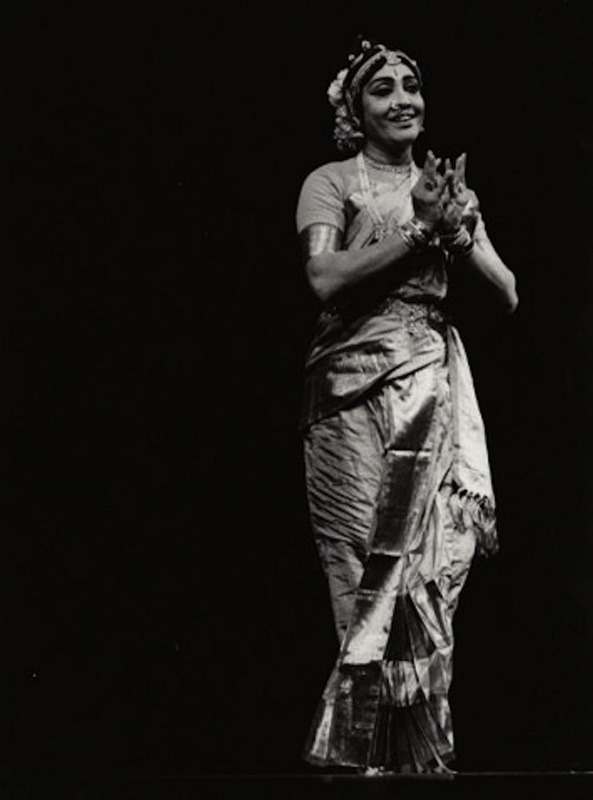 As Gollabhama in ‘Gollakalapam’, Mohini in ‘Mohini Rukmangada’ and ‘Ksheerasagara Madhanam’, Sasirekha in ‘Sasirekha Parinayam’, Devadevi in ‘Vipranarayana’ he excelled on stage. It was not that he kept performing every female role that came his way. He was well aware of what roles he was performing. In an interview given later he was to say, “When I was nineteen, I played Usha in Usha Parinayamand suited it since she was a ‘Mugdha Nayika’, innocent and tender. In my thirtieth year, I decided I was too mature to play such tender roles and switched over to Satyabhama, a Prouda Nayika that went along fine with me at the age. Later, I played the role of Devadevi in Vipranarayana which suited my age then.” His most celebrated role for which he would be synonymous with was that of the vain, egoistic, sharp-tongued Satyabhama in the epic poem Bhama Kalapam ascribed to Siddhendra Yogi. Along with performing, he was also a master of various treatises on dance like Natya Shastra, Abhinaya Darpanam, Tandava Lakshanam and Alankara Shastram. By the 1950’s Satyanarayana Sarma and Satyabhama were inseparable. And this was to stay for the larger part of his performing career. He had arrived at a very crucial stage in the evolution of Kuchipudi in the 20th century. The dance form was performed as if it belonged to a different era, where as the world around seemed to move ahead. Telugu theatre and drama cultures in villages across Andhra region were still hesitant with women performing in public spaces. Down south in Tamil Nadu, Rukminidevi Arundale, a Brahmin woman had broken new grounds by performing Bharatanatyam in public and had established Kalakshetra as an institution. India was grappling with its newfound independence after decades of political struggle. Tamil and Telugu cinema were racing against each other to grow as full-fledged industries. It was in the middle of all this that Satyanarayana Sarma saw himself as a fulcrum of re-designing Kuchipudi. While retaining the traditional ethos of the dance form, he got rid of the melodramatic clutter around its presentation. He developed a new aesthetic in specializing in the ‘Eka Patra’ Abhinayam, particularly the ‘Stree Vesham’. Several people who understood what he was trying to do supported him, even as some of the traditional Kuchipudi families scorned his idea of being ‘progressive’. He continued his work, nevertheless. On the suggestion of scholar and writer Banda Kanakalingeshwar Rao, he decided to travel to Madras, a big cultural center in those years. His Guru Chinta Krishnamurthy accompanied him. He was only twenty-four years old when he met and performed for Rukminidevi Arundale. Watching his performance and understanding what Kuchipudi dance form needed, she advised him to continue his solo female impersonations. From the diaries of Banda Kanakalingeshwar Rao, one knows of Rukminidevi’s affection and appreciation towards this performance. She was so impressed that she took off a ruby-studded necklace she was wearing and decorated him with it. The lure of Telugu cinema was too difficult to resist. In 1967, Vedantam Raghavayya directed a Telugu movie called ‘Rahasyam’ which became a big hit. In the dance sequences titled ‘Girija Kalyanam’, one can watch Vedantam Satyanarayana Sarma perform the role of Manmadha who is vanquished by lord Shiva enacted by Korada Narasimha Rao. This is probably the only available video where one gets to see Satyanarayana Sarma dancing as a male character. This was also his first and last stint with the silver screen. He continued regaling audiences with his solo dance performances. Awards and recognitions came his way. In 1961, the Central Sangeet Natak Akademi awarded him. He was also awarded the fellowship of the same in 1969. The President of India honoured him with the Padma Shri award in 1970. For the rest of his life he lived in the Kuchipudi village, teaching and managing Venkatarama Natya Mandali. The myth in the classical dance circles was that performing female roles would make a man effeminate and not suitable for marriage. He proved this wrong. He kept his on-stage and off-stage personalities and lives strictly apart. He was a family man who enjoyed spending time with his children and grandchildren. He performed actively till a few years before his demise. He passed away in the November of 2012. In a career that spanned five decades, Vedantam Satyanarayana Sarma performed over ten thousand shows! Forever he will be hailed as the prima donna of modern Kuchipudi and as the one dancer who immortalized the role of Satyabhama on stage. As we celebrate his birthday this week, it is befitting to remember this great master, iconic performer and a celebrated Guru.